This is SUEN KAI MING. Glad to hear you again since 1976. How's things going. Have you contact the other classmates ? And we had a gathering with the teachers ( Lo Suk Chi, Tam Kowk Ha & Lai Kwong Ming) last year at T.S.T. It was organized by Hermes. Next time, you may be one of us. 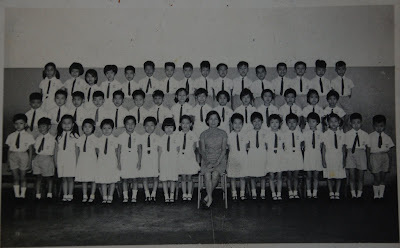 At the photo, Right 面數起第1行第5個girl 好像是我自己.